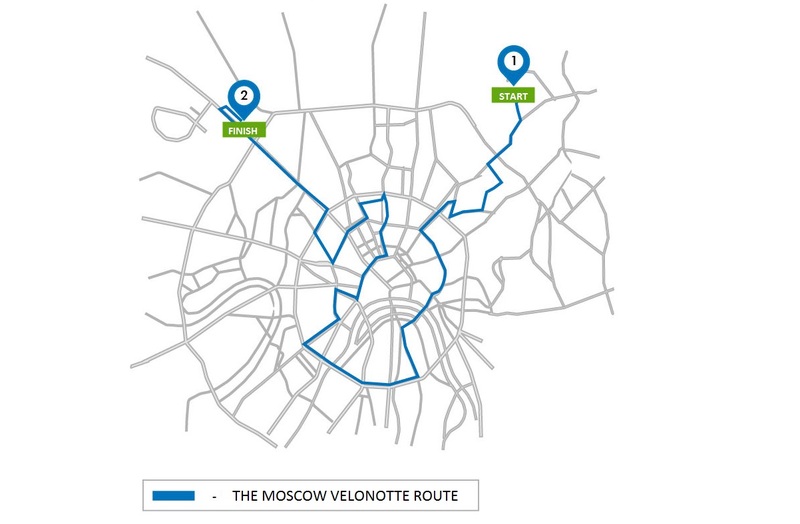 Some streets in the capital will be blocked on Saturday night due to the Ninth Moscow Velonotte. Streets will be closed for 20-30 minutes to clear the route for the cyclists. The Velonotte route will pass through Rusakovskaya, Krasnoprudnaya streets, Myasnitskie Vorota Square, Chistoprudniy, Pokrovsky and Yauzsky boulevards, the Garden Ring )from Paveletskaya metro station to Prechistenka Street), Prechistenskie Vorota Square, Mokhovaya, Okhotniy Ryad streets, Teatralny driveway, Petrovka Street, Strasrnoy Boulevard and a part of Tverskaya Street. The Ninth Moscow Velonotte is dedicated to the 80th anniversary of the Mossow Metro. The ride will start at 00:00 from Sokolniki metro station and finish about 5:00 – 5:30 near Dinamo station. Any adult person can take part in the race after registration at the project’s site and paying a fee of 299 rubles (€4.16).